Ernst Neufert, Bau-Entwurfslehre, (Berlin: Bauwelt-Verlag, 1940): p. 162–63. Courtesy of Neufert-Stiftung, Germany. During the last half-century, studies of standardization have focused primarily on the American and French scenes, which tend to foreground links to technology and science, respectively. According to Sigfried Giedion, standardization was precipitated by mechanization, which is premised on the introduction of interchangeable parts on the factory floor. According to Georges Canguilhem and Michel Foucault, standardization was instigated by normalization, that is, the invention of the statistically “average” man. This project looks more fundamentally at the standardization of standardization, that is, the means by which standards penetrated disciplines that resisted their use. Before they could be adopted, standards first had to be imagined. Furthermore, communities that sanction the use of standards needed to be created. New and more robust lines of communication needed to be built. Cultural norms had to be solidified. Access to knowledge had to be improved. 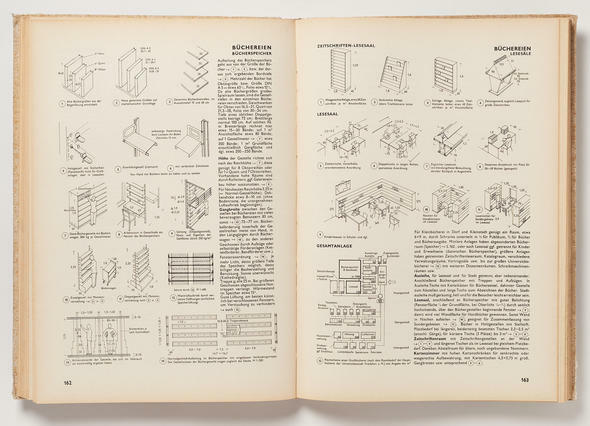 The project explores how one book, Ernst Neufert's Bauentwurfslehre, helped create this new “infrastructure of knowledge.” It also considers how this book continues to shape what the author terms the “design of design” today. Nader Vossoughian is an associate professor of architecture at the New York Institute of Technology. He studied philosophy, cultural studies, and German literature at Berkeley, Swarthmore, the Albert-Ludwigs-Universitaet (Freiburg), and the Humboldt University (Berlin), before receiving his MPhil and PhD in the history and theory of architecture from Columbia University. His first book Otto Neurath: The Language of the Global Polis, was published in 2008 by NAi (2011, in paperback edition). He has curated exhibitions at Stroom den Haag, the MAK Center for Art and Architecture, the AIA Center for Architecture, and the Museum of Applied Arts in Vienna. From 2008 to2010, he was a researcher at the Jan van Eyck Academie in Maastricht. In 2012, he was a visiting scholar at the Canadian Centre for Architecture. He is currently writing a book on the standardization of standardization.